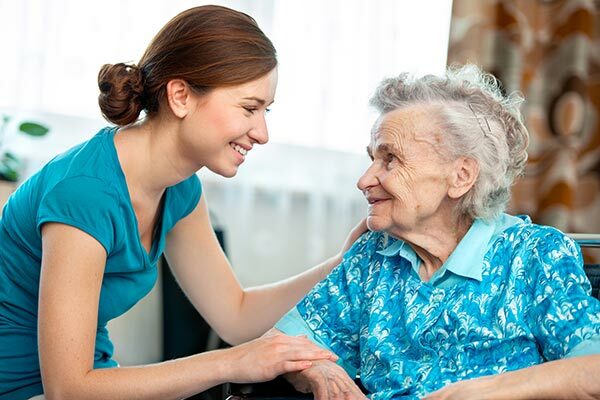 Keeping in touch with the older person in your community avoids loneliness! Can you give one hour a week to visit a lonely older person? Can you make a real difference in the life of an older person? Are you prepared to help someone in your community? By becoming a volunteer visitor you are contributing to your community. Don’t hesitate, contact us now. 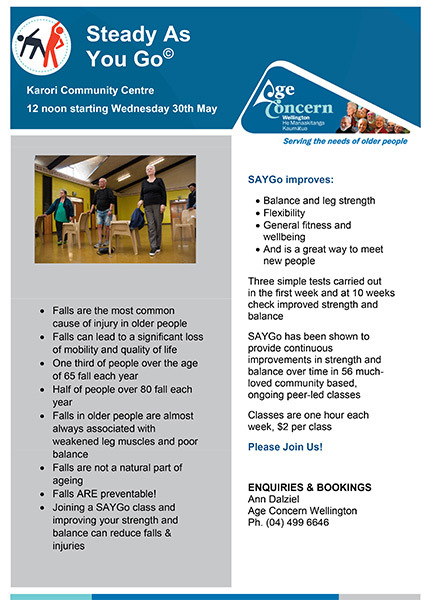 The Community Support and Outreach Co-ordinator is the hub of the Age Concern Wellington office. Enquiries on all manner of subjects are answered and referrals made to our own service co-ordinators or other agencies. Links are established and maintained with other social service providers in the area to ensure we stay up to date with the issues facing our seniors and the steps being taken to deal with issues. If you have a question or a referral contact us. 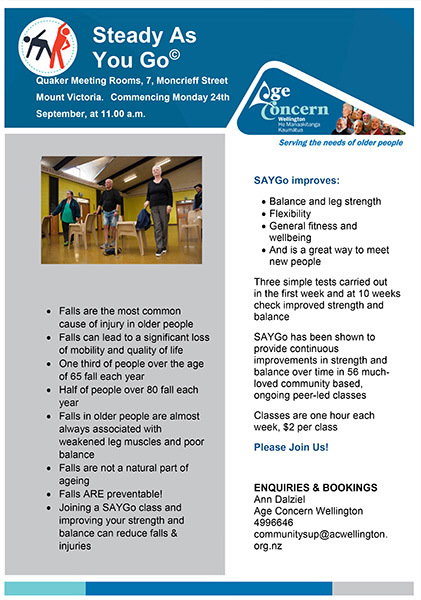 We now offer a limited number of “Steady as You Go” falls prevention and balance classes in the Wellington and Hutt Valley area. These are weekly classes. They are led, initially, by a trained facilitator and then transition to a peer-led group. 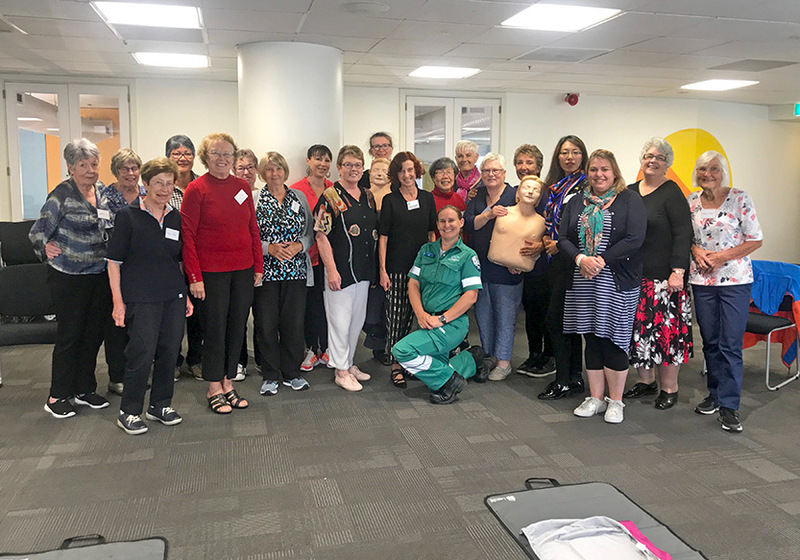 The photo on the right is of a Peer Support Training day held in February 2019. 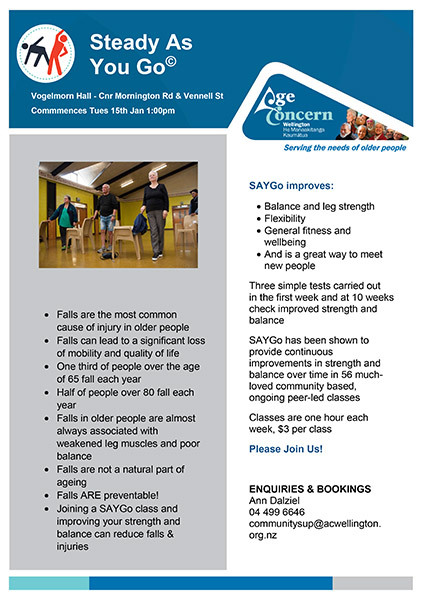 These training days, held by Age Concern Wellington, are for people who run the Steady As You Go classes. Leaders from the groups at Seatoun, Mount Victoria, Johnsonville, Thistle Hall, Stokes Valley and Karori attended. We offer assessments for our clients who wish to apply for a Total Mobility card. Applicants must be financial supporters of Age Concern Wellington (minimum donation $20). Staying Safe is a workshop for older people who want to keep driving safely for as long as possible. The classroom based course provides older drivers with knowledge of the Road Code, ideas to assist drivers with how to compensate for slower reaction time, ways to navigate routes, and other tips to help to prevent accidents. Senior drivers who participate in the workshops will have a greater awareness of safe driving practice. They will have also improved their knowledge of the road rules and learnt techniques to enable them to compensate for the effects of ageing.